It’s a no brainer that the Columbus Blue Jackets are a little playoff shy, heck they have only played four post-season games. You’re probably thinking they’re a team without any memorable players on their squad, am I right? Well in a sense you are. Within the four games played, only five players from the 2009 playoff squad registered two points or more. Let’s go in depth on how exactly these players performed. During the playoffs, Torres was held scoreless and recorded two assists in his four games. The two assists, however, were his only points in the series. Torres was minus three and averaged 12:04 each game. Russell’s playoff series consisted of just one goal and one assist, which gave the defenseman two points. His plus/minus over the four games stayed even at zero. Left-winger Kristian Huselius was one of those players fortunate enough to register two points for Columbus during the playoffs. Huselius had stats that almost looked identical to Kris Russell, one goal one assist, but his plus/minus is different sitting at a minus four. Huselius averaged 18:52 minutes of ice time, putting him in the Jackets top 5 in this category. 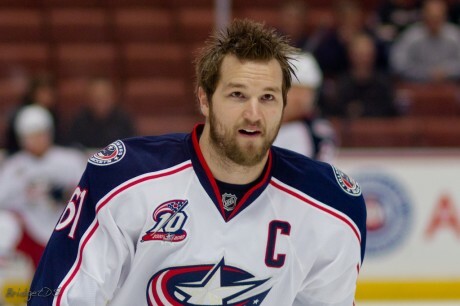 Rick Nash – the impact player for Columbus at the time – was one of only two players to actually collect more than two points in the series. Nash had recorded one goal and two assists giving him three points in the span of four games. Although his minus four wasn’t that impressive, Nash averaged an impressive 21:52 minutes per game. 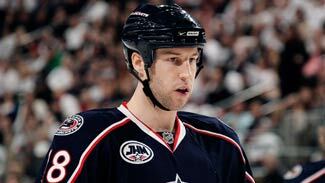 Last but not least we have R.J. Umberger, who is the only center in the Jackets’ top five. Umberger chalked up three goals, had an even plus/minus, and averaged 16:22 minutes of ice time in the series. Right now the Jackets have clinched a playoff berth, which will be their second playoff appearance since the clubs existence in 2000. The roster they’re going in with this year is looking pretty impressive. Sergei Bobrovsky is on fire right now, winning four out of his last five starts, and two of those were shutouts. Ryan Johansen has also played a big part in the Jackets recent success. He is having a breakout year, recording 32 goals 28 assists, and is sitting at 60 points. 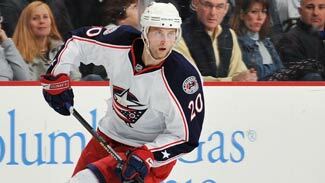 A few other key names in the mix are, James Wisniewski, Brandon Dubinsky, and Nick Foligno. As of right now the Jackets are looking to prepare for battle against the Pittsburgh Penguins. If this matchup does in fact happen, prepare for an interesting series. 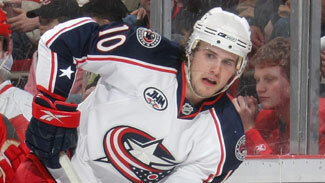 Who do you think will play the biggest role for the CBJ come playoffs?